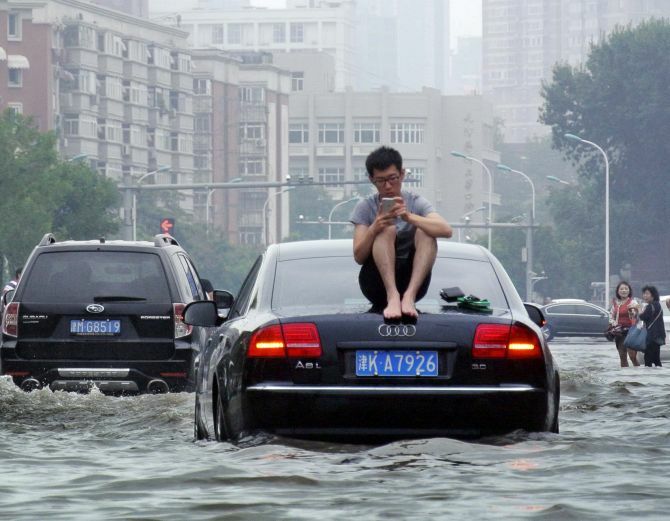 Over 250 people have been killed or missing in heavy torrential rains and floods that have wreaked havoc in China with about 2.5 lakh people still trapped in the central HubeiProvince. 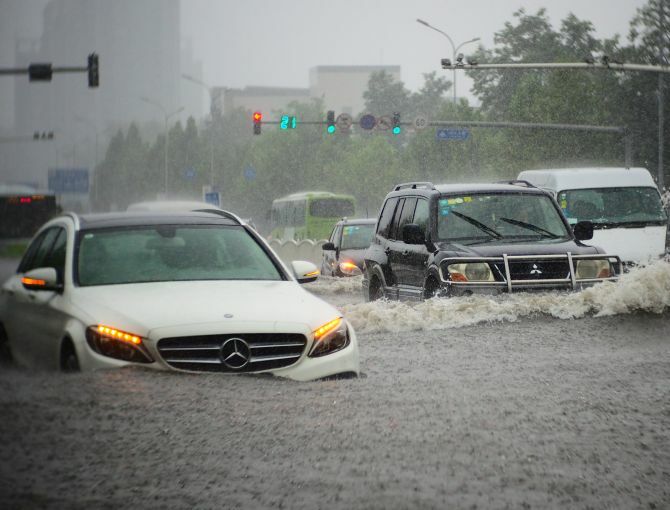 While the floods have claimed 114 lives with 111 missing in Hubei province during the past few days, 18 others have died with nine others listed missing in Anyang city, Henan Province. At least 114 people have been killed and 111 others missing in Hubei province. Local authorities have evacuated nearly 3.10 lakh people. Over 700,000 hectares of crops have also been destroyed, leading to direct economic losses of over 16 billion yuan (Rs 16, 055 crore). The worst-hit Daxian Village of Xingtai City was almost empty after a flash flood swamped it early Wednesday. At least 8 villagers were killed and one missing. “I heard people yelling ‘flood’ about 2:30 am. I woke up my wife and children and rushed out of door immediately. In no time the water level was above my waist,” said Zhang Erqiang, a local villager. “My wife and I panicked and we climbed to a tree, and stayed there for several hours until rescuers arrived in the morning,” Zhang said. “But our daughter and son were washed away and their bodies were just found,” he said. The news of heavy casualties in Xingtai, just 400 km south of Beijing, only began emerging over the past 24 hours when thousands of local residents took to the street to protest against the alleged belated disaster warning and ineffective rescue efforts, the Hong-Kong based South China Morning Post reported. Flood waters burst river banks and submerged at least 12 villages. Daxian village is one of the worst-hit, where at least nine people, including five school kids, are dead or missing, media reports said. In the village of Renma, villager Ren Jingmin was clearing his home as his sofa, bed and other furniture were soaked and cracks had appeared in the walls. “Power went out before the village’s loudspeaker finished broadcasting. 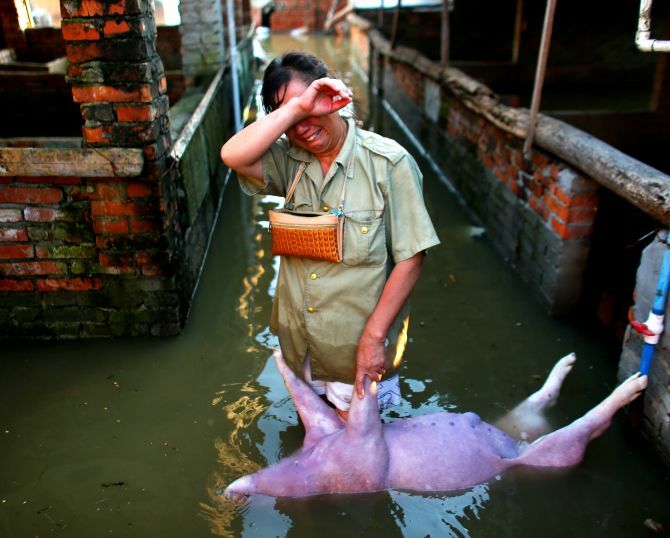 And soon floods submerged my bed,” another villager Zhang Yechao said. Qiu Wenshuang, deputy mayor of Xingtai, said on Saturday that at least 25 people were killed and another 13 missing in the city. He said rescue operations and disaster relief have been initiated immediately after the flood. Nearly 30 speedboats and 300 soldiers were dispatched to repair breached levee and transfer trapped residents, while another 1,200 people joined the rescue operation later, according to Qiu. The local government has also sent 15 working teams into 12 flooded villages to investigate the situation, comfort villagers and carry out epidemic prevention. Chinese Vice Premier Wang Yang presided over a national meeting on flood control and disaster relief in Beijing on Saturday, urging governments at all levels to put safety of the people first and strengthen flood control measures.